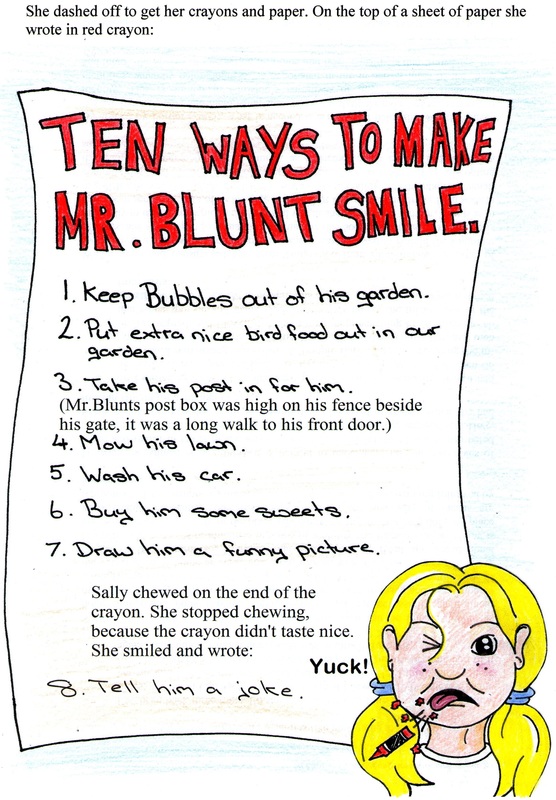 Sally wondered what would make Mr. Blunt happy. She wanted to see him smile. “Everyone should smile sometime,” she whispered. 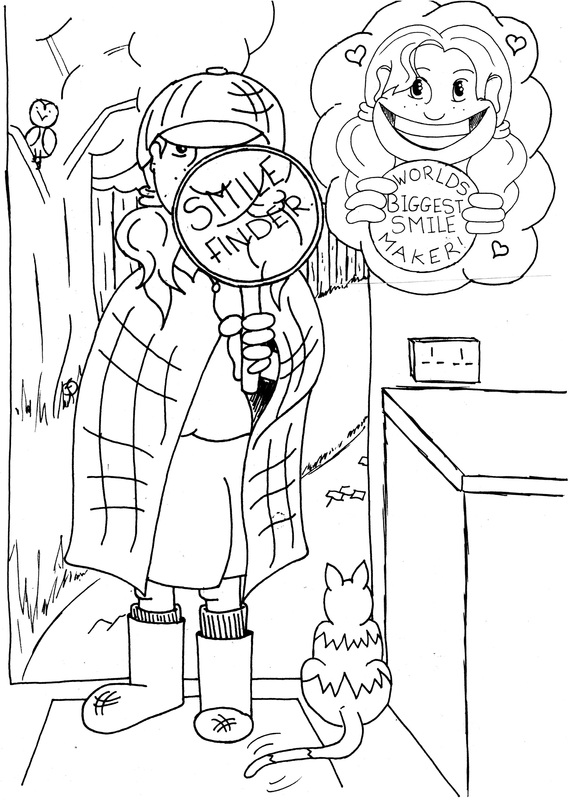 This is Sally as the worlds biggest, best smile maker for you to colour.